Alex Rodriguez was using testosterone. This is hardly news, having first been outed a few years ago and then again as part of the Biogenesis case. Instead, the fact that MLB sanctioned his use by granting him a therapeutic use exemption (TUE) in 2007 is a bit of a stunner to those of us that have been following MLB's continued chase to get performance enhancing drugs (PEDs) out of the game. The TUE process under the Joint Drug Program is comparable to the process under the World Anti-Doping Code. The standard for receiving a TUE for a medication listed as a performance-enhancing substance is stringent, with only a few such TUEs being issued each year by the IPA. MLB and the MLBPA annually review the TUE process to make sure it meets the most up-to-date standards for the issuance of TUEs.
That's hardly enlightening. We're left with a lot of anti-Rodriguez hysteria, but not a lot of answers as to what this means. Even all the acronyms will get confusing! There are more questions than answers on this, but let's take a look at some of the bigger ones raised by this report. What does it mean that Rodriguez was able to use testosterone legally? Rodriguez was reportedly granted a therapeutic use exemption during the 2007 season, per Bob Nightengale of USA Today. Tim Elfrink, one of the Miami New Times writers that broke the Biogenesis case, published in an excerpt at SI.com that Rodriguez was given a TUE by MLB's independent program administrator (IPA), Dr. Bryan Smith. Rodriguez was also granted a TUE for Clomid, another banned substance, in 2008. It is unclear if Rodriguez requested or was granted a TUE for testosterone in 2008 or any other season, though MLB did discuss only the 2007 TUE at Rodriguez's grievance hearing for his most recent suspension. Why would MLB grant this type of waiver for anyone? It is known that several players have been granted TUEs for a condition known as hypogonadism. In several of these cases, the player was a survivor of testicular cancer. Former Red Sox third baseman Mike Lowell has admitted use of several drugs, such as testosterone, as he was trying to have children after his cancer treatments. In cases such as this, the treatment is truly testosterone replacement (or TRT). A player would be brought back up to a normal level of testosterone for a man of his age and size. Other substances also require a waiver. The largest number of waivers are granted for drugs to control ADHD. These drugs are powerful stimulants, such as Adderall and Modafinil. MLB has a strict procedure for granting these waivers, and in almost all cases, they require the diagnosis to be made in childhood. The NFL, NBA, NCAA and Olympics all have similar procedures for waivers. Most are based on the World Anti-Doping Agency (WADA) standard, though MLB's procedure goes above and beyond the requirements of WADA. The NFL has never clarified its TUE procedures, but it is believed that an athlete only requires a prescription there without an IPA clearance. Why would MLB grant this type of waiver for Rodriguez? This is the one I don't have an answer for. Rodriguez would have had to make a very compelling case to Dr. Smith in order to be granted the waiver, but I know from work I did at the time that MLB was very much against granting any waivers for TRT due to the level of scrutiny on the sport. The only known exceptions were for testicular cancer survivors. There were questions about whether Jason Giambi was granted any waivers for his treatment for a pituitary tumor in 2004, but neither Giambi nor MLB has ever commented on this. I cannot speak for Dr. Smith, but I cannot comprehend any circumstance where he would have granted this waiver aside from a clear medical necessity. Smith may have granted the Clomid exemption in order to take Rodriguez down from his TRT, but even this would be unusual. Dr. Smith was replaced as MLB's IPA in 2012, though I was told at the time that there were no performance issues. Dr. Smith was simply moving on with his career. MLB has not seen significant movement in the number of TUEs, which it reports every year, since Smith left. How does a TUE work in terms of testing and therapy? A player with a TUE is still subject to MLB's drug testing procedure. Nothing is different and the collector and lab do not know about the waiver at any point. In fact, the test will show up as a positive for testosterone (or other waived drug) and will be reported to MLB just as any other positive would be. At that point, MLB's IPA would match the player against an in-force waiver and stop the process if an exemption exists. This is not reported to teams or the player. However, teams do know that a player has a TUE because they are involved in the process of getting one approved. One thing to note is that a TUE is made for therapeutic purposes. Players that test positive for dosings that are excessive to therapeutic use can be disciplined. For someone like Rodriguez, this means that he could use testosterone to return levels normal for a man of his age and size, but not to use massive anabolic doses to gain muscle mass. Why would this waiver process be necessary at all in sports? There are valid medical reasons that a banned substance would need to be used. Many asthmatics use drugs that are considered stimulants. Players with ADHD have a valid medical need for drugs that are banned. Propecia, a drug used to combat hair loss, is banned in international competition and has resulted in positive tests for players who failed to get exemptions. Drug policies are designed to stop the abuse of drugs in sports. TUEs are necessary in order to allow medical use of some of these drugs as necessary. In some cases, especially ADHD, MLB has required some players to attempt to switch to non-banned drugs such as Strattera in their therapy. Why doesn't MLB publish the list of players that have received TUEs? MLB is prohibited by HIPAA and other laws to violate a player's medical privacy. A player may elect to discuss his medical condition, but the waiver that a player signs that allows a team to speak to the media and others about medical conditions specifically excludes the discussion of medications. Is the waiver process abused or a failure? Many, including those in Congress, have discussed whether the TUE process can be abused. It is often discussed in terms of the numbers of athletes that have been diagnosed with ADHD. In 2013, 119 TUEs were given with the vast majority being for ADHD drugs. While some will argue that number is high, it is statistically in line for an all-male, active group. (Anecdotal studies of grade school athletics show the number nearer to 20-25 percent of participants.) Unless MLB is simply going to remove the waiver programs and force players to go off their medications, this seems to be about the standard level. Unfortunately, no other major sports publish their numbers, so it is impossible to compare. Could a player today get a similar waiver? It is possible, though it is difficult to get any waiver. Players are put through a series of tests, not only by their own physicians, but by MLB approved physicians before being judged by the IPA. As seen above, MLB seems to have a very consistent number of TUEs for ADHD and other drugs. What would testosterone do for Rodriguez or other players? Testosterone is the male androgenic hormone. It is what differentiates men from women on an endocrinological level. It is also the basis for all anabolic steroids. The body converts these steroids into some analog of testosterone in the body. All anabolic steroids are compared to testosterone, which is the "gold standard" of this class of drugs. For baseball players, testosterone supplementation could give them greater muscle mass, better recovery and other positive effects. There are negative effects as well, but in TRT these are offset by the low doses and the use of other drugs such as Clomid. If held at strict TRT levels, Rodriguez and others would be at the same levels of testosterone in the body as a normal man. In other words, the therapy should have been used to make Rodriguez have the same testosterone level as Derek Jeter, for example. Is there a difference between the testosterone used here and similar prescription testosterone substances like Androgel and Axiron? Remember the "Is It Low T?" ads you saw wall to wall during the last couple playoff telecasts? That's testosterone—and at a very similar level to what Rodriguez would have used. These are very popular prescription drugs used to help men with low testosterone levels. While there is great controversy about not only the overuse but the marketing of these drugs, they are out there and widely used. For Androgel alone, sales were well over a billion dollars last year, making it the 35th-most used prescription drug in the U.S. and a big profit center for Abbott Labs. People may not like that Rodriguez used TRT, but if you looked around the average workplace in America, there's likely to be a number of people using Axiron, Ritalin or another drug that would require a TUE. Expecting more from athletes than the general population seems hypocritical. The Major League Baseball All-Star Game is unique in that the players wear their respective team uniforms. At the 2014 MLB All-Star Game in Minnesota, the players will be showing a little more solidarity this year. As a tribute to the Minnesota Twins' classic batting helmets from the team's early years, this season's All-Star hats will feature color blocking of the individual teams' two primary hues. What are your thoughts on the throwback look for this year's Midsummer Classic? With a regular season record of 38-46, the 2014 Boston Red Sox may not be considered buyers when it comes to making trade acquisitions on, or before, the July 31 MLB trading deadline. If their current campaign continues to falter, we should most likely expect the Red Sox to sell off some of its pieces with the hopes of rebuilding down the road. Yet there is plenty of baseball left to be played, and Boston is merely one hot streak away from getting right back into the mix of things before the end of the season. Let us assume that this happens, and Boston is capable of turning things around in short order. This would, in speculation, lead us to the conclusion that the Red Sox would be buyers at the trade deadline. Which targets would they pursue? What areas are of most pressing need? Before we get into the discussion of acquisitions Boston could make, we should first establish the primary area of concern. If one had to pinpoint the most critical weakness within the 2014 Red Sox, few other areas would come to mind over the outfield. In short, Boston's outfield has been pretty atrocious this season. We know all too well the struggles of players like Daniel Nava, Jackie Bradley Jr., Jonny Gomes, oft-injured Shane Victorino and the now-released Grady Sizemore. Towards the end of May, this group ranked last in baseball with a .211 batting average and No. 29 in both on-base percentage (.290) and WAR (-0.9) per Joon Lee of SB Nation. The struggles led to a shakeup of the Red Sox outfield—speculation of which was provided by Rob Bradford of WEEI.com that same month. Boston indeed shook things up. Sizemore was designated for assignment after falling away from his hot start to the season. Minor league prospect Mookie Betts was called up the next month, making his major league debut on June 29. These moves—and more—could be necessary elements to turning around Boston's season. Time will be the ultimate judge. Still, let us assume the Red Sox aren't quite finished tinkering with their outfield. They could still use an impact player or two to supplement this unit. Who are the best options from a realistic standpoint? Let's get this suggestion out of the way since his name has been popping up a lot. Los Angeles Dodgers center fielder Andre Ethier is an intriguing option here for a number of reasons. First, the Dodgers outfield is stacked, including should-be starters like Matt Kemp, Carl Crawford, Yasiel Puig in addition to Ethier. The Dodgers also have minor league prospect Joc Pederson tearing it up in Triple-A Albuquerque. Needless to say, there is an overabundance of talent here, which leads to speculation that the Dodgers would be willing to move a piece or two to eventually make room for Pedersen. Ethier is an intriguing target for a number of reasons. The two-time All-Star owns a career .286 batting average and has experience at all three outfield positions. Injuries have taken their toll on the 32-year-old, however. But there have been reports that Dodgers' outfielders have been upset at their respective roles, first dating back to 2011 per a report from Ramona Shelburne of ESPNLosAngeles.com. Another report in May 2014 from Michael Martinez of Fox Sports suggested that Kemp is now frustrated with his lack of playing time. There is clearly a logjam at this position. Los Angeles has the excess. Boston has the need. Could a trade be in order? Ethier does have a rapport with college teammate Dustin Pedroia per ESPN Insider Mike Petriello (subscription required), so there's that to consider. But there are a number of additional drawbacks that could make this transaction seem unlikely. First, Ethier no longer hits lefties—an argument also made by Nick Cafardo of The Boston Globe in his summation of possible outfield targets. Ethier is batting a mere .211 against lefties this season, which does not bode well for the Red Sox's prospects for a playoff run in the American League East. More significantly, Ethier does not come cheap. He is in the midst of a six-year, $95.95 million contract through 2017—a contract length that stands in stark contrast with general manager Ben Cherington's approach of short-term deals. Now the Dodgers have the pockets that would give them enough flexibility to eat a sizable portion of that deal if they decide to execute a trade with the Red Sox. This is essentially the only way Boston would be enticed to make such a transaction. But Los Angeles would likely ask for some promising prospects in return. This would possibly be to aid some infield positions and the Red Sox do have some options, but is this something Boston would be willing to do? If the Red Sox were able to get Ethier for cheap—both in terms of contractual obligations and prospects—then the deal makes sense. But that is a big if. If the Red Sox were eyeing an impact player who may come for cheap, they could do worse than try to acquire Padres outfielder and platoon player Seth Smith. Smith has made a name for himself in a limited role for the Colorado Rockies, Oakland Athletics and now San Diego. During his eight-year career, Smith has netted a .266 batting average with 82 homers, 298 RBIs and an .807 OPS. He is currently batting .281 in a depleted Padres lineup that features almost zero protection. A number of things make this deal attractive. For starters, Smith has long been utilized as a platoon player and/or pinch hitter. The Red Sox would not necessarily need to use him as an everyday outfielder unless his production indicated otherwise. It doesn't appear as if Smith would be disgruntled over the lack of playing time. Additionally, Smith would likely come on the cheap—a notion also suggested by Lee in his description of plausible outfield trade targets. With the 37-47 Padres not going anywhere in the National League West this season, they might be enticed to move his one-year, $4.5 million contract in exchange for a mid-level prospect at most. Considering their salary constraints, it may be the only way for San Diego to garner anything in return. Smith could then easily be used to supplement both the left and right field positions, perhaps platooning—or even starting over—guys like Gomes, Nava and Victorino. Out of all the possible impact targets, Smith may be the easiest of the deals to make. Update: The Padres have reportedly given Smith a two-year contract extension per Matt Snyder of CBS Sports. This likely means Smith is staying put, but the Padres could still feasibly consider exploring trade options if an offer was to their liking. Just like the Padres, the Texas Rangers are going nowhere in 2014. A slew of injuries has thwarted any hopes for a return to the postseason, and the team now sits at a lowly 37-46—14 games back in the American League West. At 33 years old, Rios is still providing plenty of production for the depleted Rangers' roster. Currently he is batting .303 with three home runs, eight triples and 34 RBIs. He also owns a career .300 batting average at Fenway Park. With the Rangers' season in the tank following a hurricane of injuries, most recently Prince Fielder, the squad will likely look to trade off some of their more valuable assets to gain a return. Rios has been one of the better all-around outfielders in baseball this year, and the 33-year-old is signed through the end of the season with a team option for 2015. Rios' seven-year, $69.84 million contract could be a bit of an obstacle from the Red Sox's perspective, but the fact that his contract is up at the end of 2014 could provide Cherington with some options if the team chooses not to retain him at the conclusion of the season. Boston would be on the hook for roughly $8 million this season and then the $1 million for next season. At that price, they could afford to evaluate Rios this season to see how he would fit into next year's roster. The reason the Rangers might do this deal now is the potential to save the $8-9 million left on Rios' deal, while opening up playing time for younger players like Michael Choice and potentially acquiring a prospect or two for a player in the last year of his deal. Cullen also notes that the Rangers are thin when it comes to developmental pitching. The Red Sox have a flurry of young, promising arms—not all of which will be in their future plans considering the depth of Boston's pitching. So in this scenario, we could seriously envision a move where the Red Sox send a promising mid-level pitching prospect, or two, to land Rios. Rios would then be a substantial upgrade to Boston's lackluster outfield in 2014 and perhaps beyond. From the upside, a player like Martin Prado could be the type of impact player the Red Sox so desperately need to upgrade their outfield. But Prado may not necessarily be the easiest for Boston to acquire in terms of what they would have to give up. Let's stick with the positives first. Prado has posted a .290 batting average over his nine-year career, split between the Atlanta Braves and Arizona Diamondbacks. He also has good defensive flexibility, having seen experience both in left field, second and third base. This would give the Red Sox the type of upgrade they need in left while also providing an attractive option at third in case the combination of Brock Holt, Will Middlebrooks (injury) or Garin Cecchini (minors) does not immediately work out. "Prado is a very upbeat, energetic player who is currently playing third but certainly can play the outfield," wrote Cafardo. "This is an intriguing right-handed hitter who has played 252 games in left field." Arizona (35-50) is floundering in the National League West, and while Prado was once a part of what should have been a promising offense, the Diamondbacks will likely look to build a team around upstart slugger Paul Goldschmidt and not Prado. This, in theory, makes Prado an expendable commodity. But there are some drawbacks, first of which are contractual in nature. Prado is two years into a four-year, $40 million contract that expires in 2017. The 30-year-old still has plenty of baseball left in his body, but this fact may entice Arizona to ask for a bit much in return for his services. Some, like Fox Sports' Ken Rosenthal, feel as if the Diamondbacks are better off keeping Prado given his intangibles, but when Arizona's season is floundering, moving Prado and his contract should be considered an option. Cherington would have to be comfortable with the Red Sox eating most, or all, of Prado's contract—not necessarily a setback given Prado's pedigree and relatively short amount of time left on the deal. But the Diamondbacks would likely not part with Prado for cheap. Like the Rangers, Arizona's pitching has been downright awful this season. Only two of their crop of starters—Josh Collmenter and Chase Anderson—have ERAs under 4.00. As mentioned, Boston has a plethora of young pitching being developed within the farm system. But it seems likely that the Diamondbacks would be asking for multiple prospects considering Prado still has another two years remaining on his contract. Is this a price the Red Sox would be willing to pay? If so, Prado could be that shot-in-the-arm player Boston so desperately needs at this point. He has both offensive and defensive upsides as well as plenty of playoff experience. Speculating about trades is always a difficult thing. We can easily point to some favorites. Some targets, like Miami Marlins' slugger Giancarlo Stanton, always whet the whistle but are far removed from reality. But the reality is that trades are complicated by the baseball economics of supply and demand. Rare are the transactions where one gives up almost nothing to get something sizable in return. The other franchise also has to be on the same page. There is no doubting that an impact player would greatly benefit Boston's outfield production in 2014. If the Red Sox's season turns around in short order, it is not out of the question to expect such a deal being made. Perhaps the best move made is none at all. Perhaps Boston admits defeat in their 2014 campaign and sells off some of its talent. We will let Cherington decide upon that. In the meantime, all we can do is continue our speculation and theorize which players would make the best fit. All records, statistics and accolades courtesy of Baseball-Reference.com unless otherwise indicated. Contractual information courtesy of Cot's Baseball Contracts. Peter Panacy is a featured columnist for Bleacher Report, covering the Boston Red Sox. Be sure to check out his entire archive for Red Sox coverage, insight and analysis. 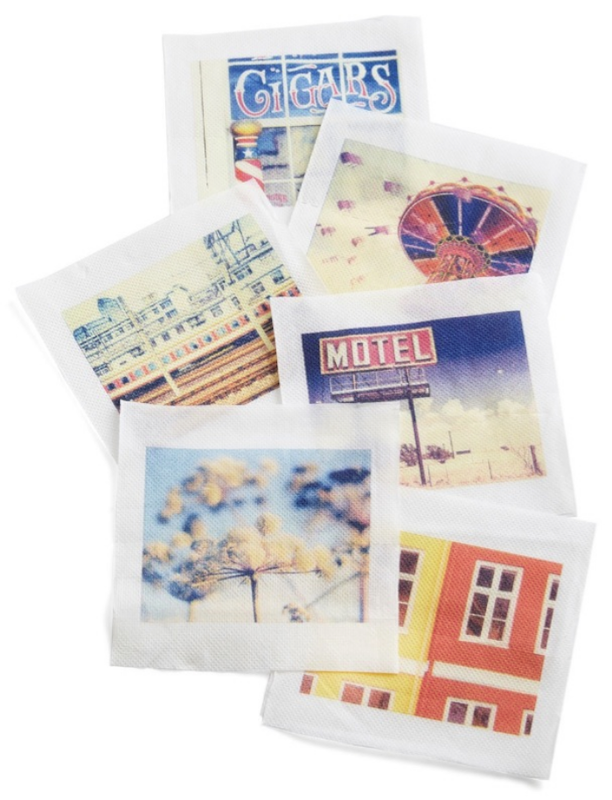 Each roll of the Developing Your Decor’ Photo Toilet Tissue retails for $5.99. The post It’s Crap-tastic! 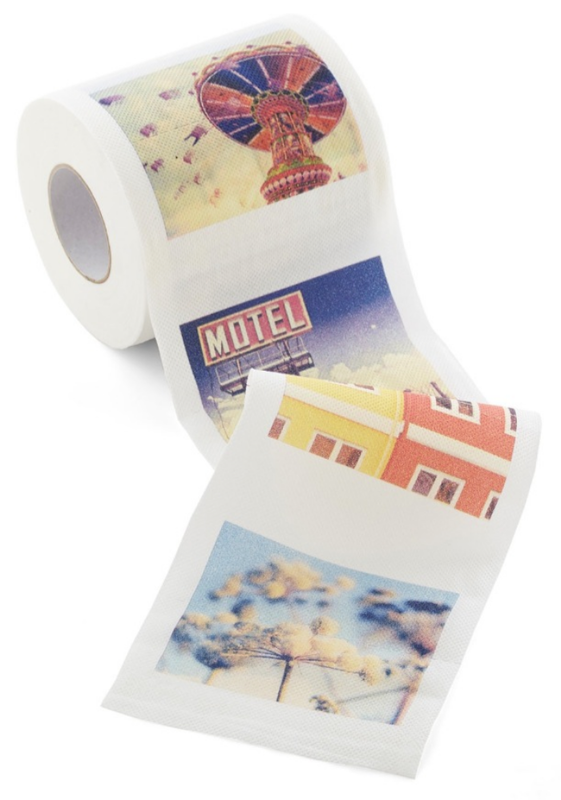 : ‘Developing Your Decor’ Photo Toilet Tissue appeared first on OhGizmo!. Some people wear their hearts on their sleeves, but you can be one of those who wears not his heart, but his bottle openers instead. Introducing the French Cuff Bottle Opener cufflinks that can secure French button cuffs and pop caps off of bottles when you’re ready to roll your sleeves up and unwind. The French Cuffs are crafted from polished stainless steel and have rigid teeth on the flipside for easy bottle opening. Spiffy by day, functional by night. What more can you want from a pair of cufflinks? They’re available from Hammacher Schlemmer for $50. 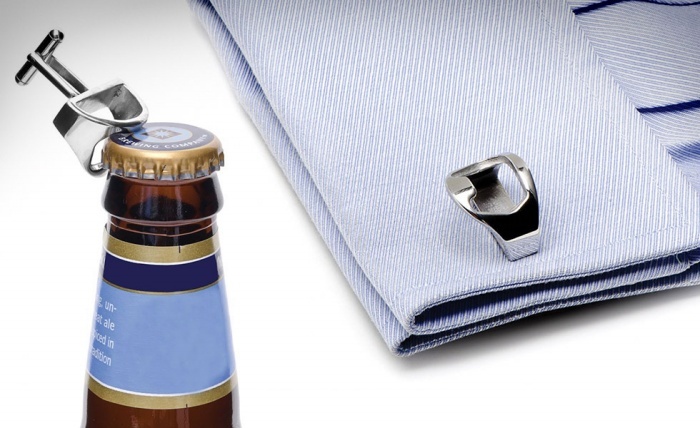 The post Functional Fashion: Wear Your Bottle Openers On Your Sleeve appeared first on OhGizmo!. Canned dragons are mythical creatures that have fascinated people since day one. Now you can give the gift that will fulfill the fantasies of those who are enthralled by these magnificent beasts–after they get over the initial shock, that is–with a tin of Canned Dragon Meat. The can’s label itself looks nasty enough, so the recipient will probably expect the worst. 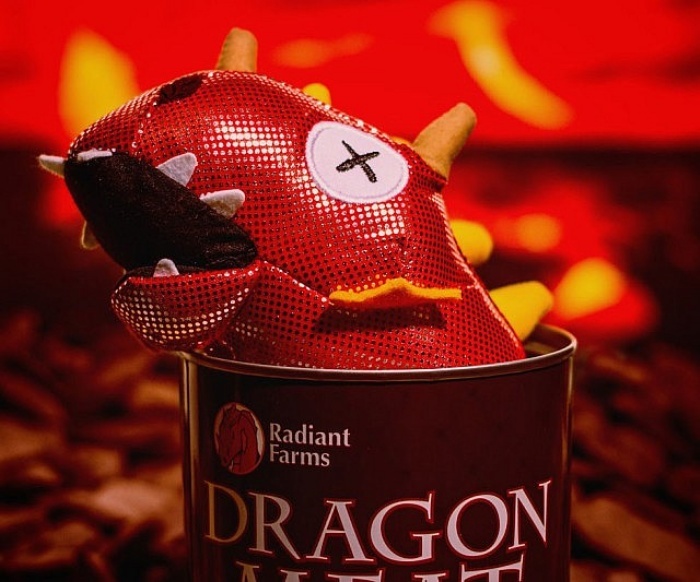 The post Canned Awesomeness: Canned Dragon Meat appeared first on OhGizmo!. If you’re too lazy to list stuff you want to sell on eBay, then here’s an app that you might want to check out: eBay Valet. It’s like a valet, only instead of parking your car for you, it sells your stuff on your behalf instead. Here’s how it works: just take a picture of whatever it is you want to sell, and send it to your valet via the app. eBay Valet will then take care of the rest, from evaluating your stuff and giving you an estimate of its worth to listing it and eventually selling it for you. They’ll even send you a prepaid box so you can ship your item to eBay. If it ends up getting sold, they’ll send you 70% of the profits–all for taking a picture. 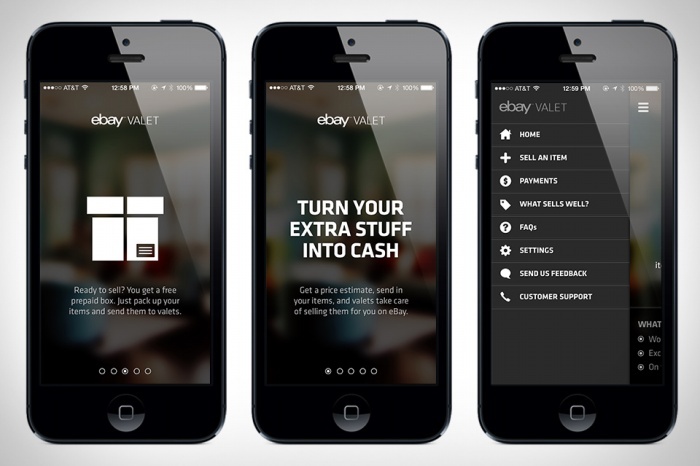 The post eBay Valet is For People Who Are Too Lazy to Sell Their Own Stuff appeared first on OhGizmo!. The Houston Astros Systems Check video offers a quick overview of the team's farm system, addressing its strengths and weaknesses and how it can improve moving forward. The video also provides a breakdown of the Astros’ top prospects for 2014—shortstop Carlos Correa, right-hander Mark Appel and first baseman Jonathan Singleton—including each player's ETA in the major leagues and potential long-term role within the organization. Hotblack connects to your iOS or Android device to access the Sports Data Server, so you will need an internet connection for it to work. The watch is currently up for funding on Kickstarter, where a minimum pledge of £400 (about $690). 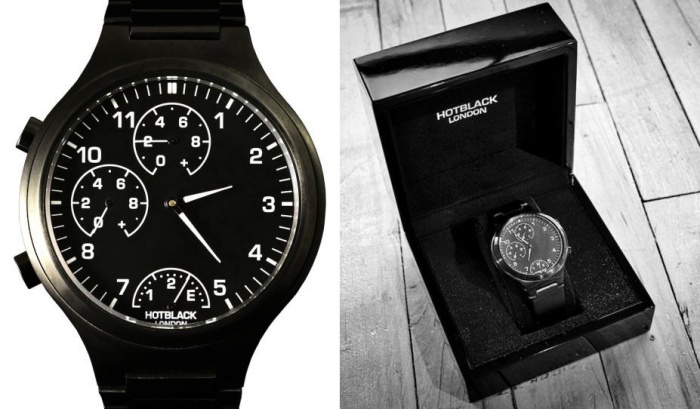 The post Hotblack Watch is the Ultimate Timepiece for FIFA World Cup Fans appeared first on OhGizmo!. Voting for the 2014 MLB All-Star Game at Target Field, home of the Minnesota Twins, closes on July 3, and there are a few incredibly close ballots that will impact the outcome of the Midsummer Classic. As the ballots stand right now, the American League looks to have a power-stacked lineup filled with guys that can jack it out of the ballpark if the National League pitchers make mistakes. The NL roster is stacked too but in a different way. They'll likely run out a team filled with all-around players, with Andrew McCutchen and Paul Goldschmidt highlighting the list. There's still time to vote, however, and the races will be close. Below you'll find my predictions for who the winners will be in three of the closest ballots. *Note: All American League and National League vote totals are courtesy of ESPN.com on July 1. In any other year, the numbers would probably bode well for Ramirez. "You know me -- I don't think about that before it happens. I learned that a long time ago. I'll wait to see what happens." Jeter has played in every Midsummer Classic since 1998 except for 2003, 2005 and 2013. He has been a staple of the American League lineup for more than a decade, and his impact on the game of baseball will ultimately make him the team's starting shortstop again on July 15. Perhaps the AL manager, John Farrell of the Boston Red Sox, will look to send Jeter off in style. Whether that means leaving him in for the full nine innings or taking him out in the middle of an inning to ensure that he's given the proper send off remains to be seen, but I don't think Jeter will go away from the All-Star game quietly. This is a three-horse race in the NL, as Aramis Ramirez, David Wright and Pablo Sandoval aren't separated by all that much in the standings. Playing for the upstart Milwaukee Brewers should also help Ramirez's case, but we all know that the All-Star game is a popularity contest. That's why Wright and Sandoval are still in the mix. By all accounts, their seasons up to this point have been pedestrian. You can even say that they've been disappointing given the expectations. There was a lot made out of the Mets efforts to help promote Wright to potential voters. There was the whole cougar website debacle, which was blown out of proportion and became a bit of a joke. While I’m not entirely sure it was that bad of an idea to begin with, at worst it became a national story and I guess can fall under the “any publicity is good publicity” saying. Overall I felt the Mets did a good job with their #VoteWrightNow campaign as it was all over social media outlets and the stadium. While Wright will likely receive overwhelming support again from his fans, this honor belongs to Ramirez. He deserves the distinction of being named the starter at third base for the National League, and I think the fans will get it right. That kind of arm can keep fans on the edge of their seats, and that's why I think he'll win. Cabrera is a fine player with a pretty good arm in his own right, but Cespedes has been a human highlight reel this season. Fans outside of Toronto and the American League East might not be up to speed with Cabrera's numbers given how quietly he has been producing, so that won't help his cause either. Cespedes is the correct choice, though, and Cabrera will probably still make it as a reserve. On July 4, 1939, the New York Yankees held "Lou Gehrig Day." That day at Yankee Stadium would turn out to be one that nobody will ever forget thanks to Lou Gehrig's powerful speech. On June 19, Gehrig's 36th birthday, he was diagnosed with amyotrophic lateral sclerosis (ALS), aka "Lou Gehrig's disease." The Yankees announced his retirement just a couple of days later and made him the first Major League Baseball player to ever have his number retired. Less than two weeks after he retired, Gehrig gave his "Luckiest Man" speech in front of a large crowd at Yankee Stadium. Now, New York and MLB will honor the legendary speech's 75th anniversary. The video will be played before all major league games on Friday, July 4. The Yankees will honor Gehrig on Wednesday, which is their last home game before the actual 75th anniversary. They will wear a special uniform patch, according to MLB.com's Bryan Hoch, and the sides of the bases will pay tribute to the Yankees legend. On June 19, which happened to be his 36th birthday, he was diagnosed with amyotrophic lateral sclerosis (ALS), aka "Lou Gehrig's disease." The Yankees announced his retirement just a couple of days later and made him the first Major League Baseball player to ever have his number retired. The Yankees will honor Gehrig on Wednesday, which is their last home game before the actual 75th anniversary. They will wear a special uniform patch, according to MLB.com's Bryan Hoch, and the sides of the bases will pay tribute with special logos. The World Cup is just the latest political football to be kicked by the Front National’s Marine Le Pen, who suggested that “You are either French or Algerian”. Algeria’s historic qualifying match for the 2014 World Cup was the source of mass celebrations and joy across France where spontaneous parties erupted across the Hexagon, from Paris to Marseilles. Broadly jovial in nature, a number of these celebrations required police intervention, and despite a heavy security presence, 74 arrests were reported and dozens of cars set ablaze, as acts of violence marred the festivities. Prime Minister Manuel Valls condemned the violence as “unacceptable” and warned of repercussions against those who were spoiling the festivities for those who are both “French and Algerian”. As further matches ensued, Algeria vs South Korea and more recently Algeria vs Germany, security provisions were increased to counter a further number of disturbances. Recollections of a 2001 France vs Algeria match in which the game had to be interrupted 76 minutes in due to fans invading the pitch were raised as a warning of possible chaos which could follow a France-Algeria confrontation in the World Cup quarter finals. As it turns out, France vs Algeria won’t be happening, but the football-fuelled disorder was seized upon by the ever resourceful Marine Le Pen, leader of the Front National, to steer national discussions towards some of her party’s most regressive policies. On this occasion, the unrest was used as an opportunity to resurrect the FN’s battle cry since 1989, for an end to dual nationality. “You are either French or Algerian”, declared Le Pen, qualifying the violence as reflecting the “refusal by binationals to assimilate”. Designating the motivation of some troublemakers as a “spirit of revenge”, Le Pen sought to frame the tensions as part of a historic struggle between France and Algeria, while others within her party suggested binational delinquents should be stripped of their French nationality, which when unpicked is only a short step from demanding the expulsion of French Arabs who may break the law. According to the National Institute for Democraphic Studies (INED), a mere 5 per cent of France’s metropolitan population is binational, of whom 90 per cent are immigrants or descendants of immigrants. Among dual nationals, attachment to country of origin is actually linked to a strong national identity, contradicting the FN’s claim of an inherent tension between them. What’s more, many French citizens who hold dual nationality do so for reasons of necessity. Morocco, for example, does not allow its citizens to relinquish national identity and others may have foreign parents and wish to hold on to their heritage. But the truth is that many of those who will have been active in the violence were not dual nationalist, but French citizens, some of whom will be of Algerian heritage. Le Pen’s rhetoric, although on the face of it about immigration, actually resurrects subtle forms of racism which confuse those of north African heritage with immigrants and in so doing, deny them full equality as citizens. This latest invective, which seeks to draw the boundaries of national identity according to loyalties to football teams, represents Le Pen’s appropriation of domestic disturbances linked to alienation, poverty and in some cases straight-forward misbehaving, for exclusivist claims concerning national identity. In so doing, the mask of propriety adopted by the far right in recent years as it has sought to rebrand itself as a “moderate” nationalist movement focused on immigration and the EU, but not avowedly racist, slips. Apparent beneath it is a presumed incompatibility between Algerian and French identities, a belief in their intrinsic difference and distinctiveness and a reassertion of white French superiority as the legitimate designator of the boundary of identities. And this in a country where 70 per cent believe there are too many foreigners. Despite immigrants only making up 11 per cent of the French population, a figure not drastically different to elsewhere in Europe, a recent poll found that 55 per cent of the French believe immigrants don’t make an effort to integrate. This figure speaks to the persistence of national debates which question the integration of what are predominantly French citizens of foreign heritage, but whose identity continues to be discussed within the context of immigration. Football allows for the unbridled expression of nationalist fervour, but it also offers an insight into the complex nature of identity, politics and belonging in diverse societies in which coexisting identities have historical tensions and contemporary complexities. Le Pen cares little about football, but she does value the opportunities popular expressions of nationalist zeal offer her in terms of advancing a narrow vision of French belonging. Her statement was rightly condemned by anti-racism campaign group SOS Racisme as “hate-filled and stigmatising”, but it is actually the broader debates which spin off from her bombastic declarations which pose the greater concern. Despite a recognition of the absurdity of her demand, within hours a poll had been set up to establish whether there was popular support for her demand, while commentators and personalities debated the issue which she’d successfully established as worthy of concern. On this occasion, as in others where the Far-Right have led the national debate, the political weakness of both the Left and the Right, the former discredited for successive failures and the later embroiled in the latest corruption scandal, leaves the way wide open for Le Pen and her divisive project. Tenth in an 11-part series examining the vagaries of awards voting. One would never figure a league-leader in losses to find his way onto an MVP ballot. But the 1952 National League vote was an odd affair in which no everyday player from the pennant-winning Brooklyn Dodgers placed higher than seventh. Ironically, the Dodger who finished highest in the race was rookie reliever Joe Black, whose 15-4 record, 15 saves and minuscule 2.15 ERA far outpaced any of his teammates in the eyes of the voters. With no Brooklyn batter enjoying a truly mammoth year at the plate, Jackie Robinson, Pee Wee Reese, Duke Snider and Roy Campanella finished 7-8-9-10 in the vote—ideally illustrating the democracy of the Dodgers’ arsenal. Garnering the same amount of first-place votes as Joe Black, Hank Sauer collected one of the more misdirected MVPs in baseball history. Despite leading the NL in home runs and RBI (actually, Sauer tied for the home run lead with Ralph Kiner, who curiously received a mere two percent of the vote share), his Chicago Cubs finished a down-and-out fifth. Sauer provided most of the power on a Cubs squad that boasted the third-best team ERA in the league yet could manage only 77 victories. As was so often the case in those days, writers were wowed most by the long ball and the ribbie. Coming up just short of the award, Philadelphia Phillie Robin Roberts pitched his arm off to the tune of 28-7, abetted by a scintillating 2.59 ERA in 330 innings. Anchoring the stingiest staff in the Senior Circuit, Roberts’ watershed season added up to as many victories as the next two winningest Phillie hurlers. Considering that Philadelphia managed to finish 10 games over .500 despite a starting rotation that racked up only 43 “non-Roberts” victories, albeit with excellent ERAs, Robin’s immense value to his team clearly outweighed that of Sauer to his. Topping the NL in wins, innings pitched, starts and complete games, Roberts single-handedly kept the Phillies out of the second division. But getting back to an MVP candidate whose Black Ink came on the wrong end of his pitching ledger, Murry Dickson of the woeful Pittsburgh Pirates placed 13th in the vote—only a handful of vote points behind Brooklyn’s aforementioned foursome—despite a 14-21 record and an ERA barely north of league average. A gritty competitor who had the misfortune of being brought aboard by the Pirates just as the franchise entered its darkest days, Dickson had battled to a 20-win campaign the previous season (on a 64-win squad) and now endured the first of three consecutive seasons atop the loss column. Hurling for a team that surrendered 148 more runs than league average, yet scored 130 fewer than that same mark, Dickson lost eight of nine starts in which Pittsburgh could muster only two runs or fewer (the lone victory coming on a 10-inning shutout). By far the NL’s worst fielding club, Pittsburgh torpedoed Dickson in five games that he could have won or, at worst, received a no-decision. In those five games, Pittsburgh committed a total of 14 errors while he was on the mound (albeit two by Dickson, himself), which led to 14 unearned runs and 28 total runs. Yet in only one of those five games did Pirates bats score more runs than Dickson yielded earned runs—and he still lost that game because four Pittsburgh miscues gave the Boston Braves a 4-3 victory despite Dickson’s one-earned-run complete game. Give Dickson the most modest benefit of the doubt in these five games, and his 14-21 record might well have been 15-17, or even gotten him over .500—which, on that horrendous squad, would have constituted one of the great pitching seasons of all time. Dickson is a rare case in which a godawful team may well have become historically awful without him. Suffering its worst season of the 20th century, the already-inept Pirates imploded to a 42-112 nightmare. So bad was Pittsburgh that it sunk into the cellar before the season was a week old and never once crawled out. Dickson, who had enjoyed success and World Series checks with the St. Louis Cardinals, pitched gallantly, winning 40 percent of his decisions for a team that won only 27.3 percent of its contests. Putting aside that wins above replacement (WAR) was unknown to voters in 1952, as well as keeping in mind that, despite the calculations that go into it, WAR is, at its core, an estimate, Dickson’s 5.3 WAR, if taken at literal value and rounded down, translates to a 37-win season without him. This would break the 1935 Boston Braves’ mark for worst record of the modern era. Thus, by this metric—and crediting Dickson for a mere five victories more than any replacement hurler the horrid Pirates could throw to the lions is more than reasonable—then Dickson kept Pittsburgh from the most futile season in the National League since 1900. If one simply takes the −7 difference between Dickson’s wins and losses, then Pittsburgh, with only 35 victories, ignobly surpasses the 1916 Philadelphia Athletics for worst modern team ever. Given this context, Dickson’s MVP candidacy seems valid. Yet one wonders whether Dickson deserved more MVP votes than the perennially underappreciated Gil Hodges. Yes, a mere seven vote points separated them—an amount small enough that it doesn’t hold great significance. Still, although Jackie Robinson arguably was Brooklyn’s best player in 1952, Hodges handily led the NL champs in home runs and RBI, as well as in doubles, walks and slugging percentage. Gil also was the only Dodger to suit up for every game, and for good measure, he led all NL first basemen in assists. All of that seems more worthy than the 19th rung on the MVP ladder. But then, Gil Hodges—one of the most reliable yet humble players of his time—never once in his long and admirable career received strong MVP consideration. I won’t contend that the 21-loss Dickson received too much support in the MVP race. One-third of a team’s total victories certainly looks good no matter where it finishes. Dickson even came out of the bullpen nine times and saved a pair. And although it shouldn’t have made any difference to voters even had they known it at the time, Dickson led all NL pitchers in putouts and assists. Saddled by the most anemic offense and butterfingered defense in the NL, Dickson performed about as well as any pitcher could while surrounded by gaping deficiencies. On simple ratios, had Pittsburgh played mere .500 ball, his 14-win struggle translates to a 25-victory gem. Adjudged the 13th most valuable player—and fourth most valuable pitcher—amid such futility served as just reward in a calamitous season. Yasiel Puig is an expert at flipping the bat after he hits the ball, but in case he needed any tips, he should just play MLB 14 The Show. The video game features an awesome scene that shows the Los Angeles Dodgers phenom getting a lesson on flipping the bat from the home plate umpire. If gamers want to see this happen while playing, it's pretty simple. The scene occurs if a user holds the ball on the mound—obviously while pitching against Puig—and leaves the game unpaused for more than 30 seconds. The cameras zoom around the ballpark and show a few different scenes. This feature should make you want to buy MLB 14 The Show even if you already have a recent version of the game. With the Midsummer Classic approaching, the MLB rumor mill is alight with trade embers. Much of the attention at this point is leveled in the World Cup and the NBA's direction, but the MLB just so happens to be in prime form in the rumors department thanks to the notorious month of July that often sees major names shipped to new locales. There are, at least allegedly, some blockbuster deals that may go down, or stars who may incite a mega deal at some point over the course of the next month. For now, here is a look at the latest rumblings from around the league in the infancy of the summer's wildest month. David Price on the Move...But When? It seems to not be a matter of "if" David Price gets dealt, but "when" the move goes down, and with what franchise. Floundering away at the bottom of the American League, the Tampa Bay Rays have little use for the 2012 AL Cy Young winner, who is set for free agency sooner rather than later. The last year of his contract pays him $14 million. That's why several executives around the game polled on this subject expect the Rays to wait until late July to pull the trigger on a Price blockbuster. A surprise deal can happen at any time, of course, but execs on teams expected to be in it say they would be stunned if it happened anytime in the next week or two. The mini sendoff was nice, but probably not necessary. It's a strange, apparently widely held thought about the situation. At 37-49, the Rays are not close to turning things around, and each game they hang on to Price, the better his chances are of injury or a collapse that hurts his value. Dragging their feet in this situation makes little sense. Price's stock may never be higher after recording five starts in the month of June with a 2.27 ERA, 54 batters fanned and five free passes. It sounds like this one will play out slowly, but don't be stunned if something develops quickly. Considering Baseball Prospectus has the Arizona Diamondbacks ranked near the bottom of MLB in defensive efficiency, it is no wonder some of Brandon McCarthy's numbers are downright miserable. It certainly seems likely, but if I am still here at the end of September, then great. It is a place I enjoy. At this point, you become an asset the other way. Right now as a Diamondback, sometimes your best value is your future value and what they can get for you. I totally understand that side of the game. You accept it as reality, but it is not something I sit and worry about all the time, check every rumor. Just let it happen, and when I get a phone call and that happens, there you go. Surely content to begin a rebuild and not willing to pay McCarthy the full extent of the $10.25 million salary he is due this season, it makes loads of sense that the Diamondbacks will entertain trade offers for a player who is somewhat unexpectedly drumming up interest on the market. There are a couple of things not at all surprising about the Chicago Cubs. For one, the team is 36-46. Two, they have a tradeable asset teams around the league would love to get their hands on; as a bonus, he's a heck of a rental. That rental is starting pitcher Jason Hammel, who is already halfway into the one-year, $6 million deal he signed with the Cubs. So Hammel is cheap, but here is the other caveat—he's elite. In other words, it's not shocking to hear a scout say that "You could argue that Hammel is the most sought-after player, positional or pitcher, in the trade market right now,” per The Boston Globe's Nick Cafardo. Plenty of contenders will surely come knocking. The Toronto Blue Jays apparently have interest, as per Heyman, as do the Seattle Mariners, according to The Chicago Sun-Times (via Rosenthal). More suitors may emerge, but one has to think they better do it quickly—the Cubs could very much use any future assets obtained and won't hesitate to pull the trigger. If Hammel isn't moved soon? Watch for him to be one of the biggest names for the duration of next offseason. Salary and contract information via Spotrac unless otherwise noted. With their grey/blue palette and bulky frames, London’s hire bikes are not known for their style. Luckily for the discerning Londoner, toyshop TellTails has come up with a plan. Based in Hackney (where else? ), it’s making a redesign the cornerstone of its unlikely campaign to be the bike hire system’s next sponsor. TellTails claims that the redesign would simultaneously serve as a political statement, an “act of style” and a tourist attraction. Oh, and the tails would act as “superior mud guards”, too. But it’s sadly silent on whether all bikes will be cheetah-themed as in the campaign’s photo, or whether monkey, tiger and dinosaur tails would also be available. Barclays announced last December that it would not renew its sponsorship deal with TfL once it expired in 2015. But we suspect TellTails’ bark is worse than their bite: at time of writing, they’re on £792 out of a £37.5m goal.